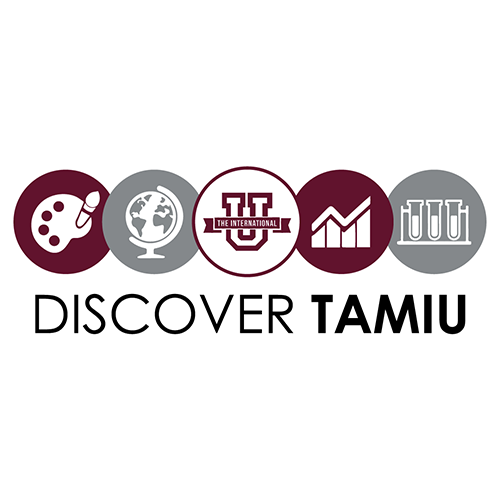 A sunny Saturday forecast will perfectly frame an opportunity for families to connect with Texas A&M International University (TAMIU) as the University presents “Discover TAMIU,” a campus-wide open house featuring nearly 100 activities for all ages Saturday, April 1 from 11 a.m. – 4 p.m. Discover TAMIU is now celebrating its third year welcoming students of all ages, their families and community members to the 300-acre campus to experience TAMIU and learn about its offerings through fun activities. The event is free and open to the public. A dedicated event website with updated event information can be found at www.tamiu.edu/discovertamiu/. The site also allows large groups to make arrangements to be part of the excitement. At Discover TAMIU, students can choose from five exciting pathways to explore, engage and enjoy the University. A complete program is here. One of the pathways, Artistic Avenue, allows participants to express themselves through creative art, dance and music. Scientific Journey, opens the world of science, shapes and surprises. Through Business Boulevard, students can see how business plays a huge role in their world. Another pathway, International U, presents culture, education, humanities and social sciences with a global twist. Spirited Speedway invites students to participate in Dustdevil Family traditions. Signature activities include basketball, putt putt golf, soccer, obstacle courses, planetarium shows, a baseball game, dance and mariachi performances, world and TAMIU trivia, and a Texas Alliance for Minorities in Engineering (TAME) interactive trailer showcasing what a Science, Technology, Engineering and Math (STEM) education encompasses. TAMIU Food Services, including the Food Court, Dusty’s Diner and Starbucks will be open during Discover TAMIU. TAMIU President Dr. Pablo Arenaz said Discover TAMIU is about connection. “College readiness professionals will provide useful information to prepare visitors to be college-savvy. Community members will have a chance to meet our gifted faculty as well as students and the leaders of tomorrow,” De La Miyar González said. The event is also being shared via the University’s social media with information available on Facebook, Instagram and Twitter. For more information, contact González at 956.326.2206, email gina@tamiu.edu or visit offices in Student Center, room 226.